The American Diabetes Association (ADA) invites you to join your company in its effort to Stop Diabetes?. With more than 29 million Americans living with diabetes and over 8.1 million who are unaware they are living with the disease, every mile you ride can support millions and bring us closer to finding a cure. Are you affiliated with one of our National Teams? Please visit your company page to learn about your company's efforts, team participation and benefits. 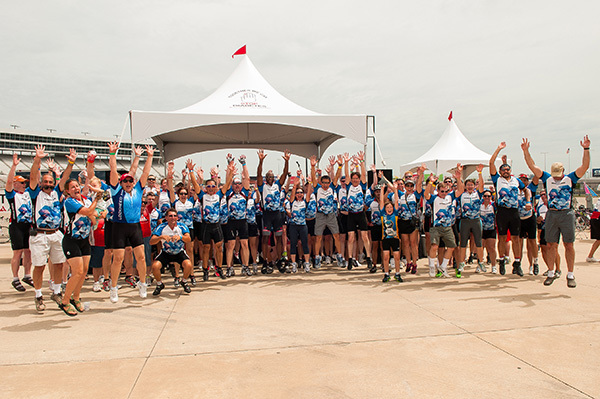 We invite you to join your company in the ride of lifetime and register your team today! Make sure to select your company affiliation in the drop-down when registering your team to ensure it is affiliated to your company's national team. We thank our National Teams for their corporate support and employee engagement! As a National Team you have a great opportunity to engage fellow colleagues to stay healthy and to make a difference in your community. ADA is committed to ensuring that you receive encouragement and support in building a successful team to enjoy the ride of a lifetime! Please contact Aimee Yrlas Simpson, National Associate Director, Corporate Engagement for assistance with your Tour National Team: (703) 549-1500 x3034 or asimpson@diabetes.org.